That's right, I don't do weddings! How many times have you heard that? I don't do weddings and the reason is is that they are difficult to photograph. Also you can get into plenty of trouble if you don't do it right or not at all. I give plenty of respect to all those hard-working photographers who pull off a great wedding gig. Paul and Lia are two of my favorite people on the planet. 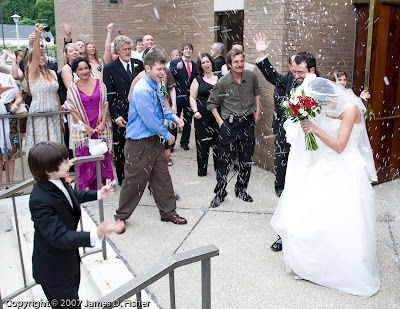 Here's a few "for-fun-only" wedding pictures. A very happy couple walking down the aisle after the ceremony. Now's the time to get sprayed with the rice-thingie. Jacob gets ready to plaster his Dad and step-mom. 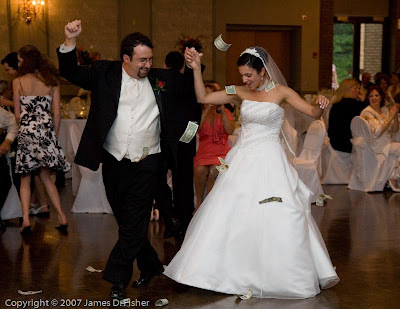 It was a Greek wedding and that means lots of dancing. The music was great and everyone was very happy. 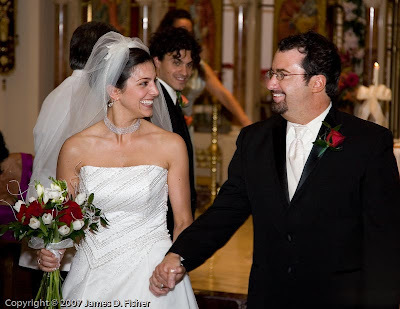 Paul makes sure he doesn't step on Lia's dress. Wow! Is that money flying around? Let's try some wedding cake honey! Yummy! Ooops! 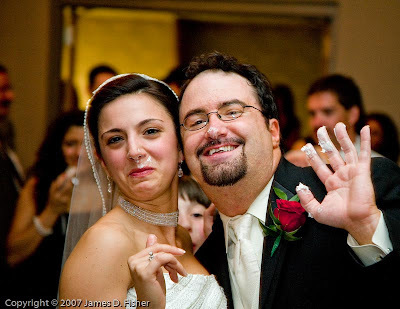 A little frosting smeared on the face makes for a happy marriage! 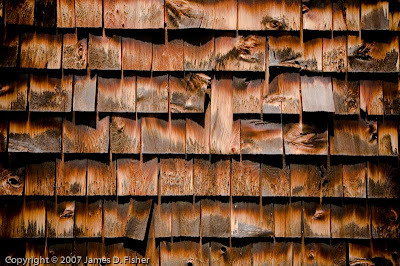 Weathered barns are always an attraction. The colors are muted and faded. They show their wear and tear. 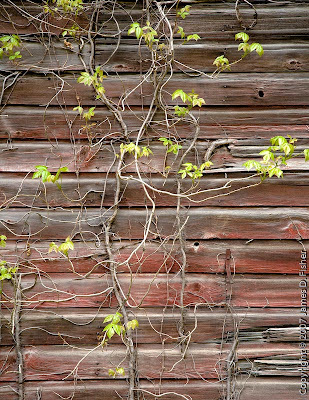 And sometimes you get ivy wrapping itself around it. These two images are from the same barn in Lake County. This barn side is from Portage County near Ravenna. The green trees shimmer over the pond in my backyard. 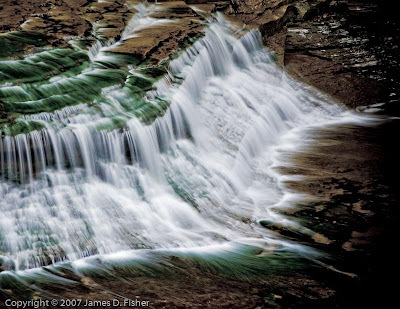 South Chagrin MetroPark has a little water falls with green foliage under its streams. 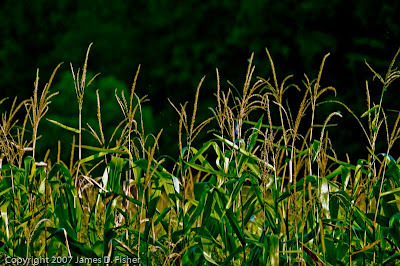 How about those green and gold stalks in the fields? Nice green there! 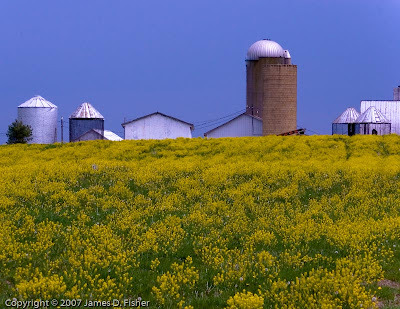 This green field is cluttered up with yellow wild flowers. C'mon green! 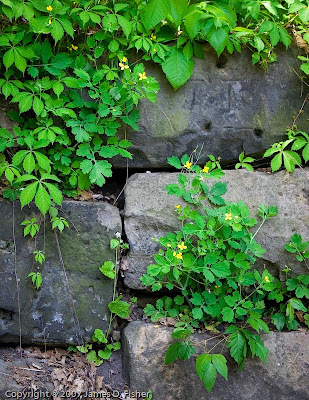 Here's some nice green plants growing in-between these rocks. 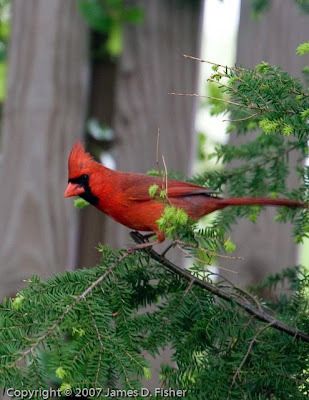 Nothing looks better with green than red like this cardinal. 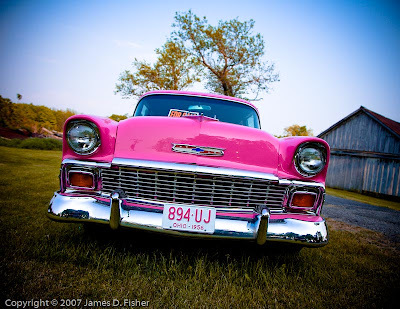 A lavender pink 1956 Chevy and it's for sale! 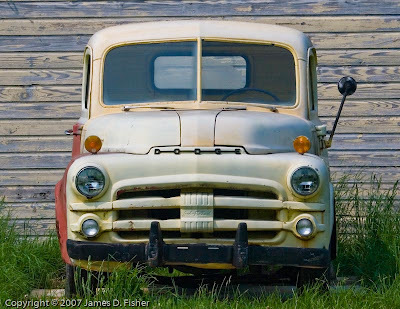 A dainty little Dodge pickup truck that's "Job-Rated". She might be a bit high-maintenance, guys. 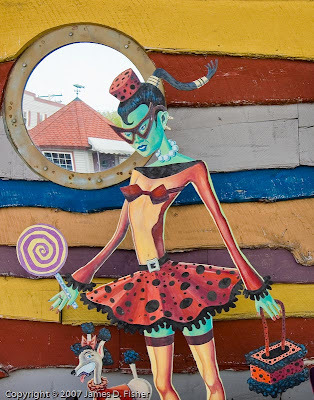 Freestanding artwork outside Pickle Bill's in Grand River, OH near Painesville. A great place to eat. I guess it just sank. Another one of those funny things you see when driving the roads of Northeast Ohio. I captured this image on Frost Road in Portage County. Another relic of farming times past. A very nice restoration job too. This tractor sits at the Ravenna Historical Museum on Rt. 44 just outside and to the north of the town. Steam power drove this thing. The boiler is probably 200 gallons or more. These big wheels ain't turning no more but this thing is built like a tank! Front view on a bright, sunny day in Ohio! 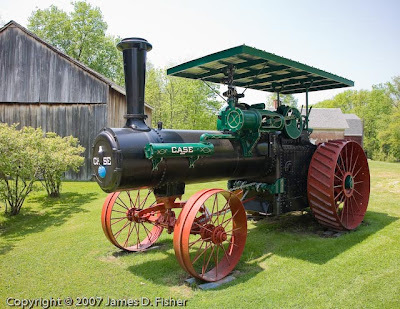 About Case TractorsJerome Increase Case started his company in Rochester, Wisconsin in 1842. He soon moved to Racine, Wisconsin where he begain to manufacture threshers. In 1853, J.I. Case accepted 3 partners to form J.I. 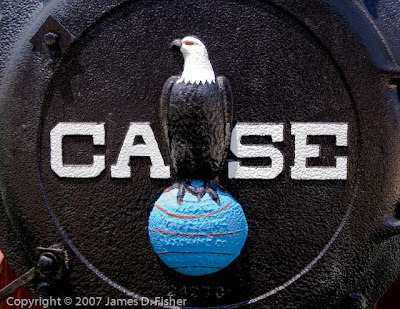 Case & Company. Their Eagle Trademark, "Old Abe", was adopted in 1865 and is patterned after a bald eagle that served in the Civil War as a mascot. 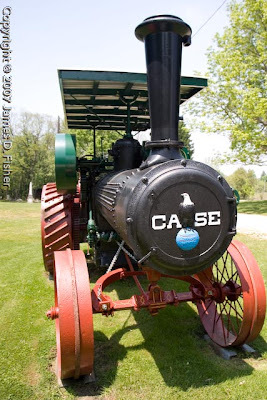 Case built their first steam engine in 1869 which was moved around by horses. By 1876 they had developed their first steam traction engine. 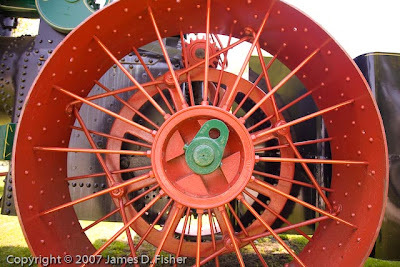 The first Case farm tractor appeared on the scene in 1892. Just another one of those interesting things you see when you keep a camera handy at all times. 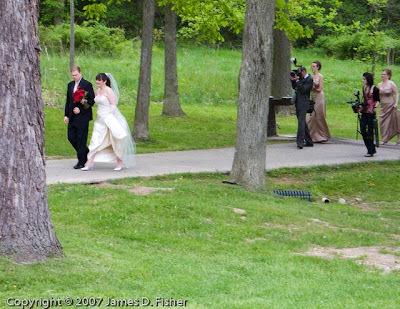 This was taken at Squire's Castle which is a popular place for wedding pictures. There were a couple of limos with wedding parties waiting in line for their turn at the castle steps. 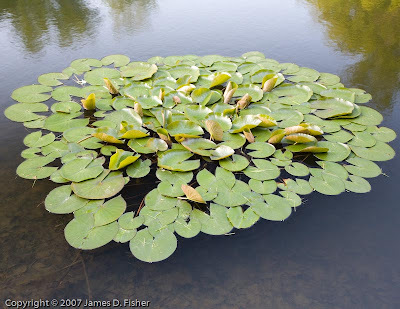 This post is not about lilly pads. This is about light and how to manipulate the information by utilizing the various color controls on Lightroom. 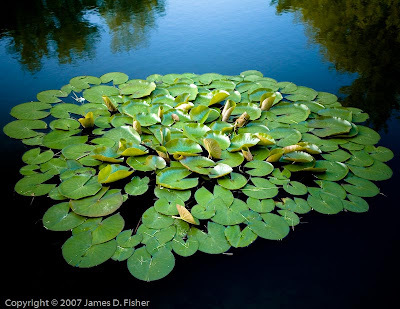 This post is also not about Photoshop with its complex array of controls. Lightroom is a Photoshop product but each of these images took no more than 3 minutes to adjust. 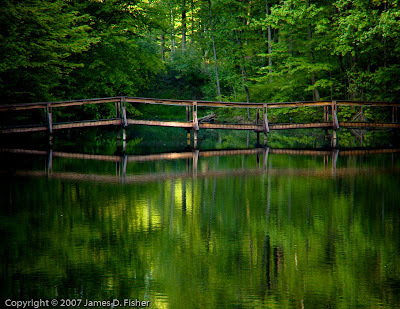 This first pond image uses the "velvia" effect. 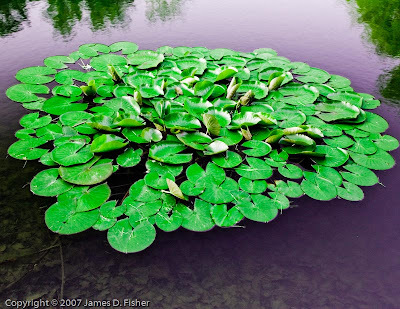 Velvia is a popular film made by Fuji. It characteristics include highly saturated colors, low noise, high contrast and exceptional sharpness. This effect was done using the split toning feature. Green and purple were strengthened while the other colors were desaturated. Finally, this image was adjusted to make a color negative effect. The exposure was jacked up, the contrast was taken all the way down and the "light" areas were increased. By the way this is what the original, unadjusted RAW image looked like. Pretty bland? 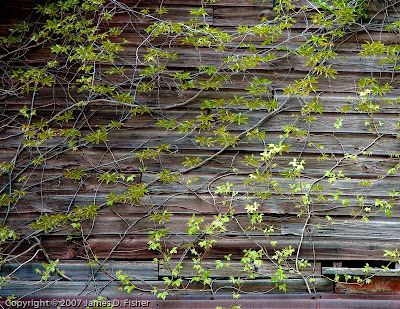 Unless you used a film with unique characteristics like the highly-saturated Velvia or the super slow Kodachrome 25 you were stuck with unadjusted slides or prints. 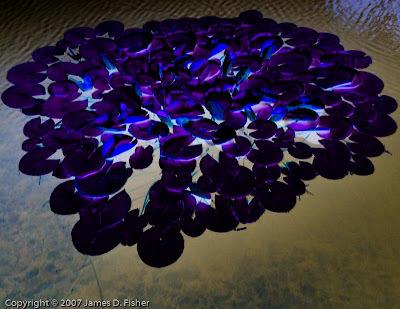 With the new digital tools the image can now include what you see in your "mind's eye." Thanks again LeBron. Conference finals! 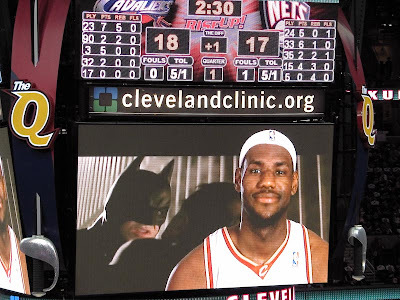 "Batman" LeBron took over the fourth quarter in Game 6 and rescued the Cavs from a potential playoff gaffe. Up by 22 points at one point in the second quarter, the Cavs lead was sliced away by Jason Kidd in the third. LeBron returned in the fourth quarter and led four bench players on an amazing charge to finish off the series. The best part of this series is watching LeBron make his way through the most challenging level of basketball he has ever faced. LeBron has never won a title on a level higher than high school. Winning a local conference championship at St. Vincent's/St. Mary's is nothing like facing the Wizards, Nets and Pistons. Yet he is rising to the challenge like a natural champion. When the team played a stinker game last Wednesday, Lebron didn't go into an emotional shell like some of his teammates. The fans booed the team Wednesday, yet LeBron took no offense. Instead he took the side of the fans and said it was O.K. That is a make-up of a champion. He took the criticism upon himself and made it better on Friday. When you get this close to a championship you gotta hope they go all the way. Injuries, off-years, age, etc. can make a great team merely good in a subtle way. You don't know you're regressing. The Nets tried to get past round two for three years. We did it in our second year. We can beat Detroit. We can beat San Antonio (we did it twice this year). Let's just do it and do it now. You know, the closer you get, the uglier they look. This is not a warm and fuzzy animal image. 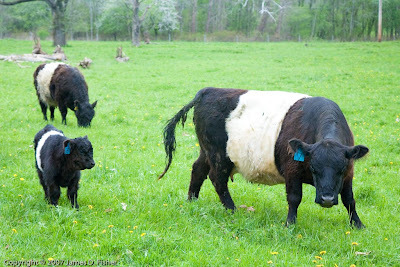 I think the mommy cow doesn't like me pointing a camera at her calf. Pretty soon I'm going to get over this animal thing. This image was a big hit at the office. I don't like geese. I'm not around a farm much. 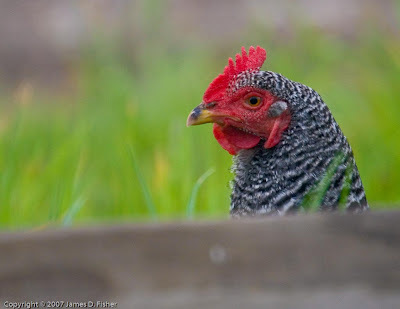 I don't know if I've ever seen a chicken that looks like this one. 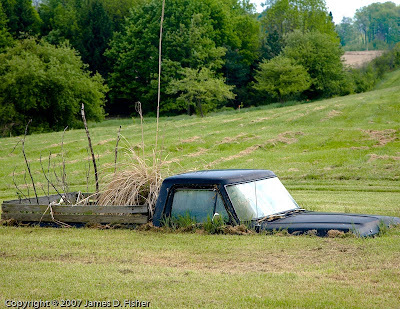 Another one of the interesting things you see while driving the back-roads of Ohio. This is the building where the header comes from. On Mother's Day we were sitting in the yard at my sister's house after a yummy dinner when her dogs started barking. 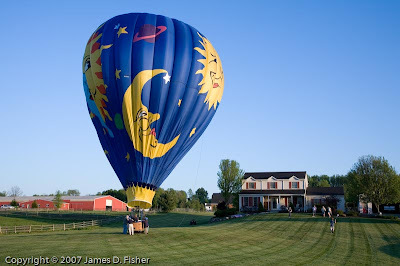 Out over the tree-line a balloon was floating down and getting ready for a landing. Here's the scene from the farm across the road. 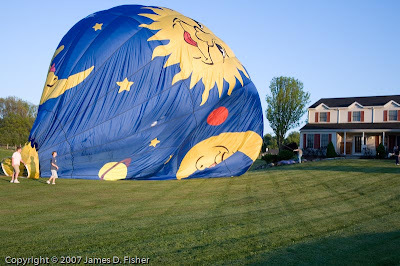 It's not everyday that you expect a hot air balloon to drop in your front yard but that's what happened to the Donaldson's on Bartholomew Rd. in Auburn. The art on the balloons is wonderful. 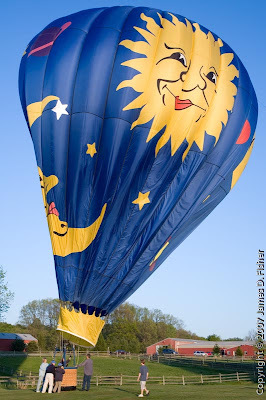 The name of this one is Moonlight Sun-ATA piloted by Janet M. Lutkus of Chagrin Falls. Who designs the artwork anyway? What a fun job that would be. 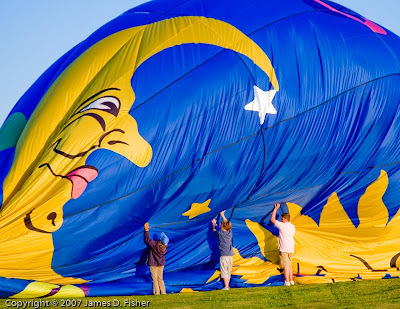 It takes about 20 minutes to deflate these big bags. Looks like the moon is moving in for a little smoochin'. This is a pair of happy ducks at Beartown Lakes Reservoir in Geauga County. 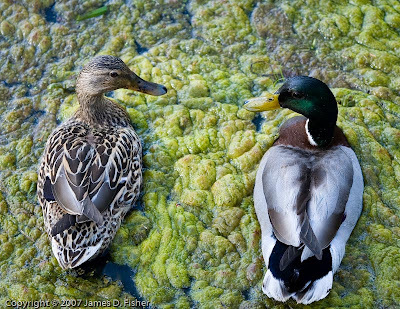 The lake is full of algae and they spend the day chomping away. 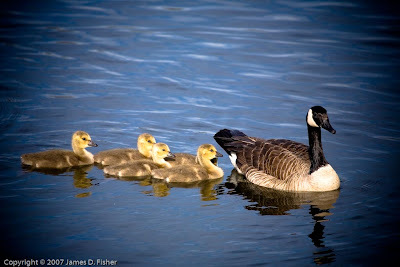 Click on the image to see a closeup of their feathers. Enjoy! EXIF: Canon 5D with 100-400mm L zoom, ISO 400, 100mm, 1/125 @ f5.0. I first heard the term "chimping" about a year ago. I think the British coined it. It means the reaction a photographer makes when he views his images on the LED display on the back of his camera. When they get excited about an image they do an "uh uh ah ah" sound like a chimpanzee. I have never heard such a sound come from the mouth of a photographer, nor have I made such a sound. My sound is more like, "eh" or "yuck" or "cool". 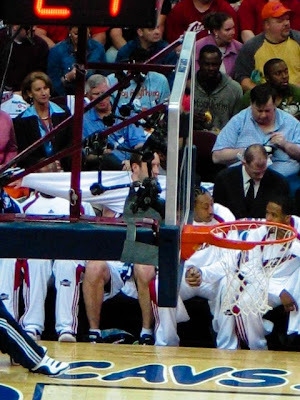 I thought it might be interesting to do a little research on "chimping" at the Cavaliers-Nets playoff game Sunday. 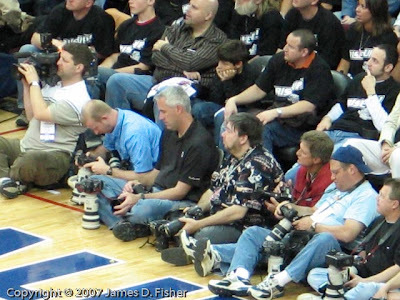 Let's get a look at those hard-working guys and gals capturing pictures of LeBron, Vince Carter, and Jason Kidd including the excellent shot of Sasha's "swat" by Plain Dealer photographer Joshua Gunter. Here we go. Note the photographers are right on the ball here. The action is on their end of the court so they are using short lenses. Probably zoom lenses in the 24-105mm range. Or maybe prime lenses of 24mm or 35mm. The primes are great in the typically dismal arena lighting. These natural light images are usually better than the sometimes harshly-lit ones using the arena's wireless strobe system. With these lenses they can set the color balance and shoot available light at 1/800 f2.8. It will stop the action, have a sharp foreground image and wonderful "bokeh" effect in the background. 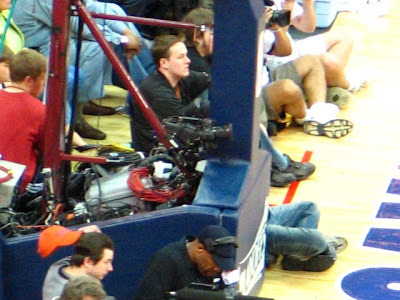 Now the action moves to the other end of the court and they switch to their second camera with the long lenses. 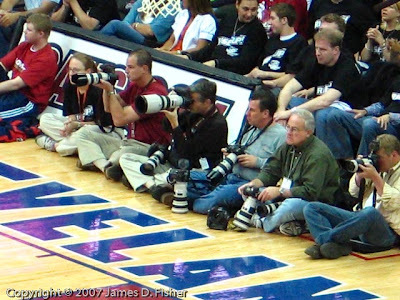 Those big, white lenses are the Canon L's which are the standard for sports shooters. They weigh anywhere from 5 to 13lbs and cost between $1,000 to $7,000! When there is a timeout they start the "chimping." It's really a quite wonderful thing. Remember when you had to shoot film and wait for the images to come out of the processor? Now the satisfaction is immediate. The new digital process or workflow moves incredibly fast today. Several of these photographers have wireless file transmitters on their cameras. As they shoot the images are actually being transferred to a computer server and then immediately reviewed by an editor for publication. Let's move to the other side of the hoop. I think I see a couple photographers using Nikons which a great camera too. Most of sports photographers are using the Canon 1d Mark II camera. It's an excellent camera for shooting sports with a 6 frames per second shutter speed. The new Canon 1D Mark III (I want one) shoots at a blistering 10 frames-per-second at 10.2mps (like Charlie Sheen says, "that means it's cool"). I like the short monopods they're using. It helps the arms when you spend four hours holding a 10-15lbs. camera/lens combo. 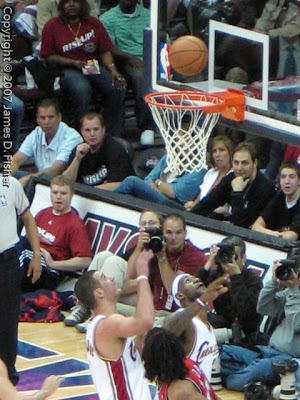 I think one of these photographer's must be Joshua because this was the end and the side of the court where the great shot block came. Josh, where are you? Everyone at work wanted to know if the PD had a shot of the swat and you did! Great job! Always follow the bouncing ball. I like the guy in the foreground trying to shoot with his pocket camera. This group is using the short lenses when action is close. Even though these lenses look pretty long they probably are 28mm-200mm zoom lenses which is just perfect for side-of-the-hoop action. Another time-out and they "chimp" away. You may wonder how they can sit on their butts the whole game dodging both runaway hoopsters and pom-pom popping cheerleaders? It's because many of them have little cushion chairs with backs. I guess if you do this long enough and you'll eventually know all the tricks. 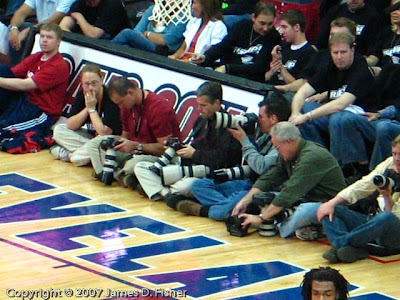 After my research I guess it's safe to say that sports shooters don't act like chimps when reviewing their pictures. Probably because there is no one to show it too anyway. You're not going to show your best shots to the competitor sitting next to you. They got to be tired anyway. There are a couple other camera things going on at the "Q". You've probably seen the cameras connected behind the hoop in order to get those great dunks. There were about three cameras rigged behind this hoop. They are remotely and wirelessly-controlled. And, from the look of the camera rigs, they are using the arena's strobe/flash system. This time the flash will make a perfect splash on their faces. There is also a couple cameras rigged at the base of the hoop to get some nice wide angle shoots under the basket. Here's another interesting camera position at Quicken Loans arena. This rig has a Canon 1D Mark II with a 400mm L lens . The control pad at the top triggers the strobe. The guy sitting next to the camera is a spectator. 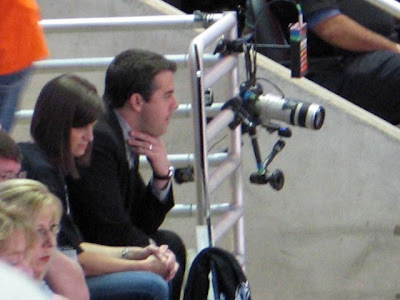 I'm sure Michael, one of my favorite ushers at the Q, was keeping his eye on this $8,000+ camera rig. Oh yeah, I did watch the game and the Cavs won. 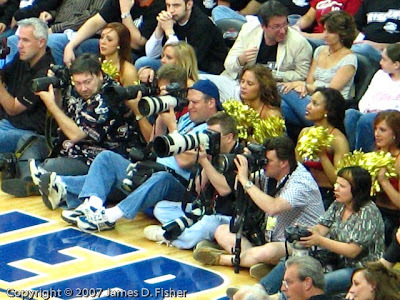 But don't you think the photographers are just as interesting as the players? 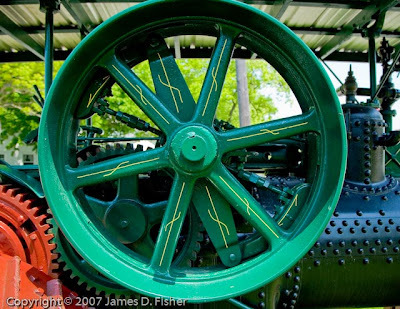 Gear: I used a Canon G6 at 1/100th @f2.8 ISO 200 to capture these images. Wouldn't a floor pass be great? What a perfect Saturday! Blue sky, white clouds, 70 degrees and a bit of wind. 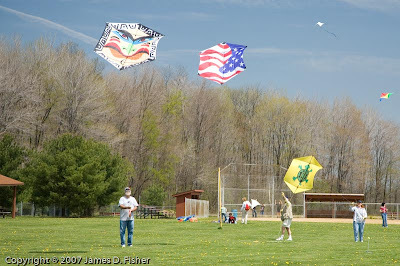 That makes for a perfect day for kite flying. 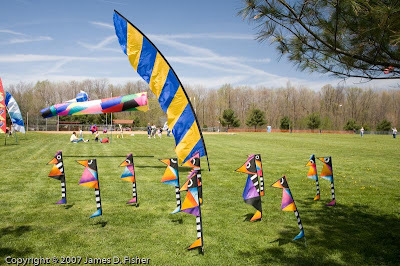 There is a kite flying group called O.S.E.K. 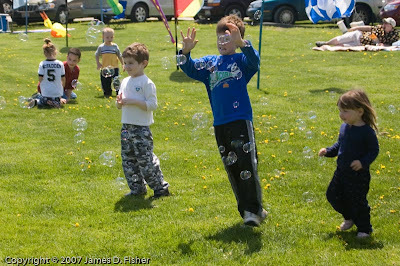 (see title for meaning...actually it just simply means fun) and they took over the community park in Parkman, OH. 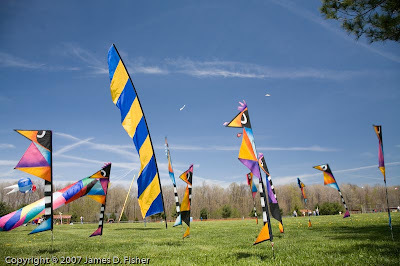 for the Parkman Kite Festival. 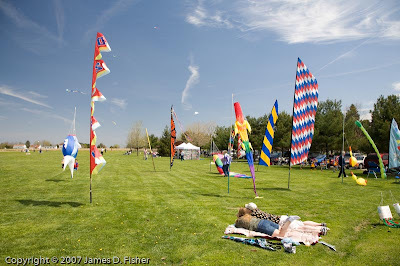 The park was filled with people, kites and flags. 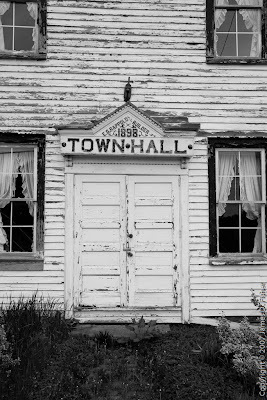 It was very All-Americana, small town, fun. 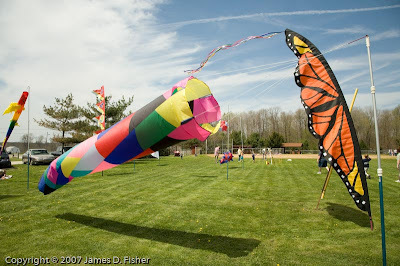 A couple of kiters prepare their kites for flight. 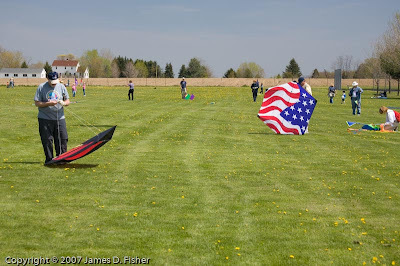 The flags twirled and swirled all afternoon. I just had to stick the camera down the tube of this flag. Soap bubbles were flying through the air. 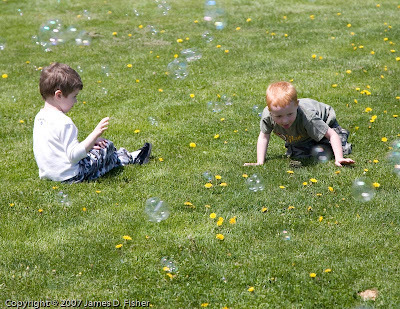 These boys were trying to catch the "soap" bubbles with their mouths. There was a O.S.E.K. 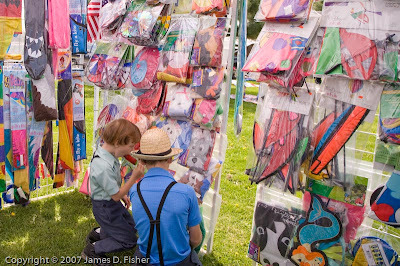 tent which sells kite kits. These two Amish boys pick out their favorites. 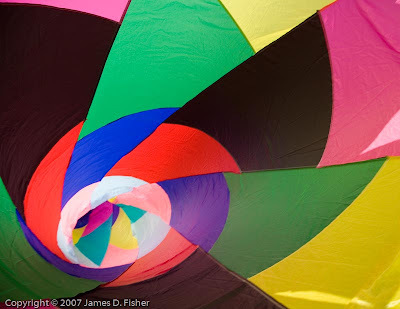 Back to the kites. Here they head for the skies. 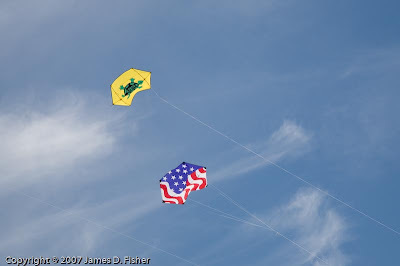 The wind was a pretty steady 10-15 mph making it so the kites went up with ease. I loved the flags posted around the park. The bird flags were cool. Here's a ground's eye view. Kites reaching up to the clouds. O.S.E.K. has a Web site for event info.